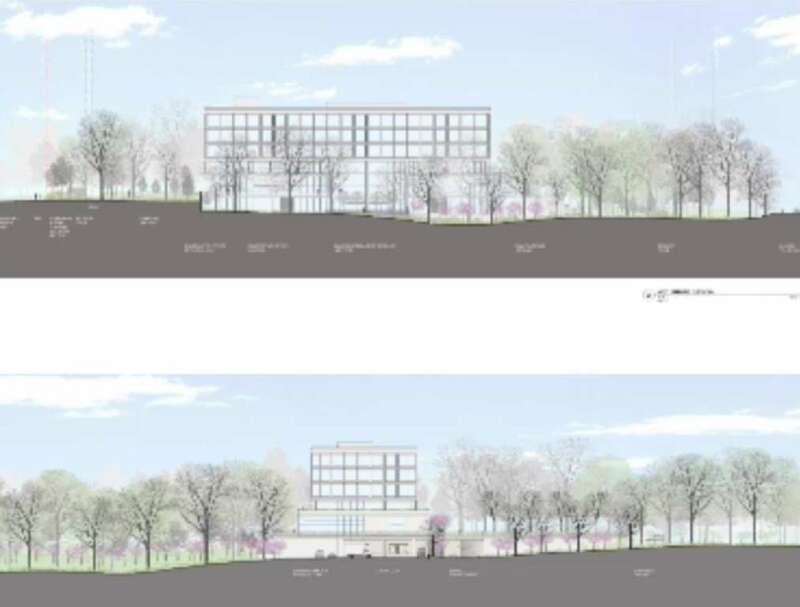 The Fairfax County Board of Supervisors on Tuesday unanimously approved General Dynamics’ plan to build a new headquarters in Reston. The defense contractor, which currently leases space in Fairview Park, looked at many spots around the country but found that the Reston site — 22 wooded acres on Sunset Hills Road — “fit that [description] to a T,” said land use attorney Mark Looney, representing General Dynamics. 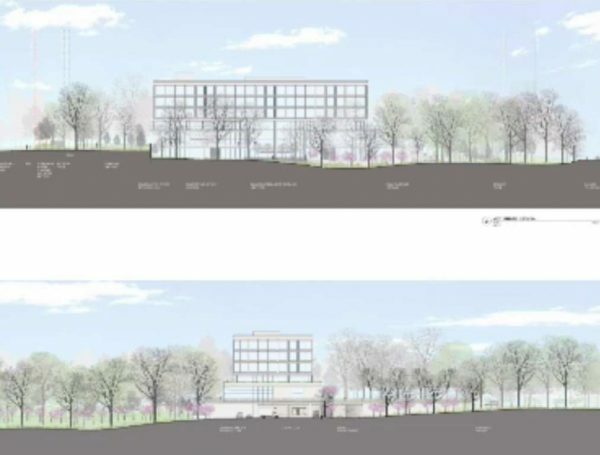 General Dynamics plans to keep 84 percent of the space as natural and wooded, adding extra privacy for the site at 11011 Sunset Hills, between Wiehle Avenue and Hunter Mill Road. The site has long been designated commercial, and General Dynamics’ plan is actually much smaller than the previous zoning approvals for three buildings and nearly 400,000 square feet, Hunter Mill Supervisor Cathy Hudgins said. General Dynamics plans include three levels of below-ground parking and some surface parking for 347 cars, as well as a pocket park. The company plans a 10-foot security fence and an access road through the property so traffic will not back up on Sunset Hills as employees and visitors go through a security check gate. As part of the proffer conditions, General Dynamics will have to make some improvements to Sunset Hills, including widening it for turning lanes and providing money for additional traffic signals. General Dynamics plans to move into the new facility in late 2018, said Looney.